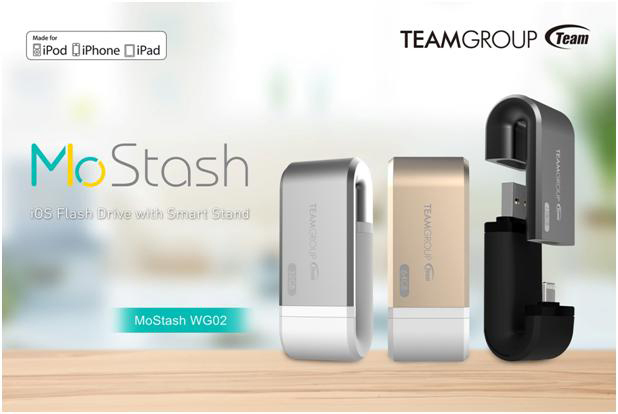 Team Group Inc., today announced the launch of MoStash – the world’s first flash drive for iPhone that can also transform into a mobile viewing stand. 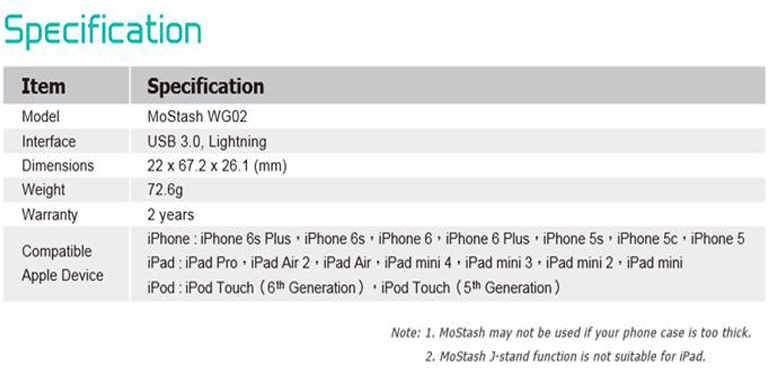 Team MoStash is using Lightning/USB 3.0 dual connector and has the world’s first patented smart stand as cover structure. MoStash is able to transform into a phone stand through interlocking its smart cover. It is an external storage device for iPhone/iPad, and it can improve user’s multimedia entertainment experience as well. With careful and thoughtful design, it’s not only a flash drive, but also a must-have mobile accessory that helps users to enjoy multimedia entertainment. Team MoStash is made from combination of metal and rubber material. It not only brings out the perfect visual art, but also improves its protection. The “Double Arc” design of the body and the cap is making MoStash easier for mobile storage usage and also symbolize that your wonderful memories are perfectly well stored. 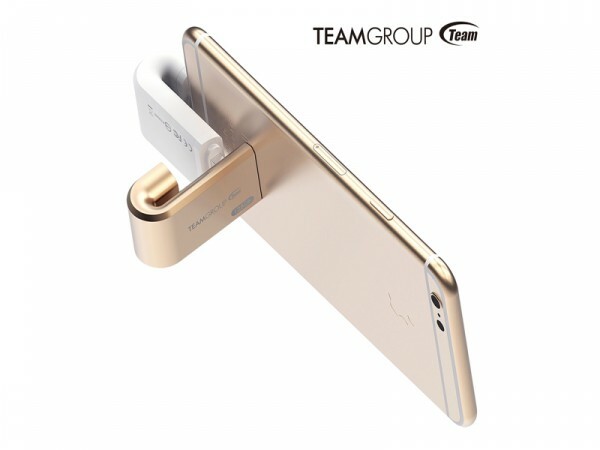 If you interlock the body and the cap of MoStash, it can transform into an iPhone stand, which saves you the trouble of holding the phone and allow you to fully enjoy your multimedia collection without experiencing the hand soreness even after you finish a whole movie. Instead of an unrealistic creation, the elegant design is also highly functional. The all new App for MoStash is able to break loose from Apple’s system restriction, and offers a more intuitive and convenient way to transfer or share your files. Not only instantly expand the storage capacity of your iPhone/iPad, but also promptly free your storage space so that more precious memories can be stored. Moreover, it offers over 40 different file formats for users to directly access with, so plug and play is no longer limited from unsupported file formats. Meanwhile, MoStash App also offers one click backup and restore for phone contacts. If you have files that you don’t want them to be seen, MoStash App has built in file encryption function that can easily protect your privacy even if you lose your device. In addition to the exterior design and the easy to use App, we think in all aspects to bring you an even better user experience. Therefore, MoStash is using high speed USB3.0 interface to free you from lag and delay while you enjoy a HD quality movie regardless it is connecting to a computer or to an iPhone through Lightning. Whether you are commuting to work, school or traveling, you can always watch the video you stored at anytime, anywhere. Treasure your wonderful memories by freeing your iPhone’ storage space, so you can store more precious photos and videos you take on your journey.